Alzheimer's or dementia is a serious brain condition, which involves loss of memory and mental (cognitive) changes that significantly affect daily living. The most common type of dementia is Alzheimer’s disease, which affects about ten percent of people who are over 65 years of age. Alzheimer’s symptoms develop slowly and progressively become worse, beginning with mild forgetfulness and leading to serious brain impairment. Alzheimer's symptoms often begin with mild changes in memory and mental ability, and these manifestations of dementia progress to loss of function in daily living. However, some changes are considered normal owning to natural aging process. The most common symptom of Alzheimer's is forgetfulness, especially recent information such as dates and events. With time you may need to ask for some information repeatedly and rely on others or memory aids to handle things on your own. Normal change related with aging: You may forget names occasionally but later remember them. You may experience difficulty in concentrating, planning, working with numbers, following a recipe or tracking monthly bills. These common activities may seem more difficult and it may take you longer to do these things than before. Normal change related with aging: You may make occasional errors in balancing your checkbook. Dementia can make it hard for you to complete ordinary tasks. You may have trouble going to a familiar place, planning a budget, or remembering how to play your favorite game. Normal change related with aging: You sometimes need help in setting a microwave or recording a TV show. You lose track of dates and become unaware of time passing. You may have trouble remembering where you are or how you got there. Normal change related with aging: You sometimes get confused about what day of the week it is, but you are able to figure it out later. In certain group of people, one of Alzheimer's symptoms is the vision problem. They have trouble reading, determining color and judging distance, which can affect driving ability. Normal change related with aging: Your vision changes may be related to a physical problem such as cataracts. Alzheimer's symptoms may include trouble joining or following a conversation. You may suddenly stop speaking, repeat yourself, or not be able to continue the conversation. Normal change related with aging: You sometimes have trouble finding the right words to say. You often lose things and are unable to go back or retrace your steps to find them back, which may make you think someone is stealing your things. You may put things in the wrong places as well. Normal change related with aging: You sometimes misplace things, but you can retrace your steps and find them. People who are with Alzheimer's or dementia may find their judgment and ability of making decisions decrease a lot, such as not using money as wisely as before, paying less attention to personal hygiene. Normal change related with aging: You make bad decisions occasionally. You tent to stay away from your usual social activities, hobbies, sports or work projects. You may avoid social activities because of the changes you have experienced. Normal change related with aging: Sometimes you feel weary of family, work or social obligations. Mood and personality changes are common signs among people with Alzheimer’s disease or dementia. You can become suspicious, confused, fearful, depressed or anxious. You may be easily upset with friends, family at work or in unfamiliar places. Normal change related with aging: You may develop your own way of doing things and become irritable when usual routines are interrupted. There are 3 stages of Alzheimer’s, so the symptoms can vary a lot in different Alzheimer’s stages. Therefore, it’s crucial to recognize Alzheimer’s symptoms in different stages so that you can detect the disease early enough to seek out for proper treatments. Early Alzheimer’s symptoms are often mild and can last for two to four years. These include recent memory lapses, problems with understanding and expressing language, slight coordination problems, and difficulty driving. Mood swings, apathy and depression can occur. You may deny problems, become defensive and stay away from social situations. In the later part of this stage, doing sequential tasks such as cooking and driving may be difficult. The middle stage is marked by moderate symptoms which can last from two to ten years. It is difficult to cover up your problems at this stage because of more serious memory loss, inability to recognize family and friends, rambling speech, confusion, unusual reasoning, sleep disturbances, aggressive or uninhibited behavior, poor coordination and slow mobility. You may have a constant need for assistance with daily living, since simple tasks like eating, dressing up and going to the toilet become difficult to accomplish. 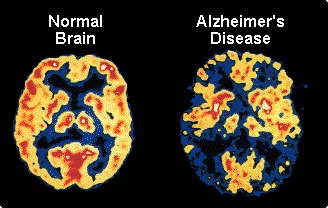 The late stage of Alzheimer’s disease is marked by severe symptoms of dementia, which may last from one to three years. You may have a complete loss of ability to remember, process information and communicate. You may have hallucinations, deliriums and extreme changes in moods and behaviors. You will be unable to take care of yourself and more likely to fall since your immobility weakens a lot than before. Other physical problems include incontinence, difficulty swallowing and possible illness. Because of these, you will need round-the-clock support and intensive care. Many early Alzheimer’s symptoms are quite similar with those caused by aging, so having some of these symptoms does not necessarily mean you are going to develop the disease. Some symptoms may not be caused by Alzheimer’s or dementia; stress, depression, health problems or side effects of medications can also lead to memory loss or other symptoms of Alzheimer’s. If you are worried that you may have dementia or Alzheimer’s, it is best to get proper evaluation and treatment from a doctor who will be able to assist in your needs.